While they’re not promising a Stanley Cup parade in 2018, 26-year-old forward Smith and 26-year-old defenceman Schmidt are offering up optimistic outlooks as the puck gets ready to drop on the Golden Knights inaugural NHL season. It all starts in Dallas on October 6 for the expansion club who takes up residence in the Western Conference’s Pacific Division. For Smith, a two-time 20-goal scorer who was dealt from Florida to Vegas on June 21, the players on the Golden Knights are well aware of what’s required to ice a competitive team in 2017-18. After their opener in Texas, the Golden Knights will head to Arizona to face off against the Coyotes before the two teams meet up again on October 10 in the home opener for Vegas. Schmidt, who was nabbed from Washington in the Expansion Draft on June 21, is full of praise for his new teammates, a group that has worked hard to get to know another ahead of their first regular season game. It’s been the little things, team-wise, noted Smith, that has helped galvanize the team. And hopefully, for Golden Knights players and their supporters, it all adds up to a memorable first NHL campaign. 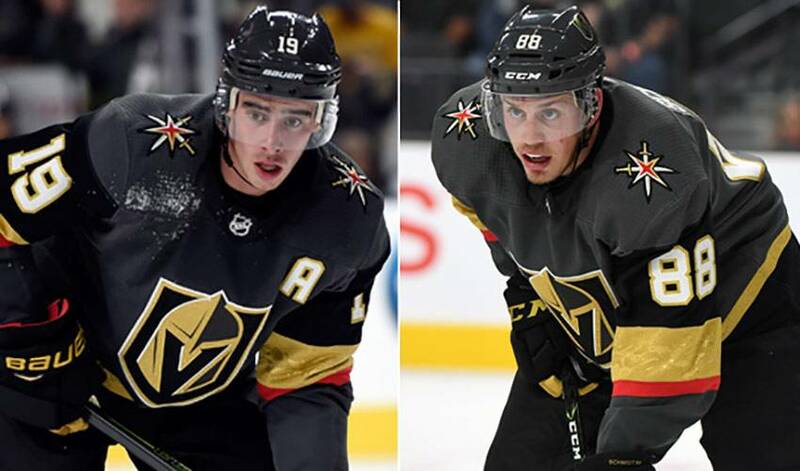 “We are building our own foundation here in Vegas, and our own culture from the bottom up, which is a unique and fun situation to be in,” said Schmidt.